The BeoSound Ouverture was an updated version of the Beocenter 2500. As well as a new name (using the new structure first seen, as regards audio products, with the Beosound Century), the model was updated to make it work with the latest products. To this end, the software was altered to work with the Beo 4 remote control terminal and a Master Link socket was fitted. The fitting of Master Link to the Ouverture made the Master Panel AV 9000 redundant, so this was withdrawn and the rest of the AV 9000 modified to suit the new model. Text copyright © Beocentral. Unauthorised reproduction prohibited. Other than these major changes, not much else was altered. 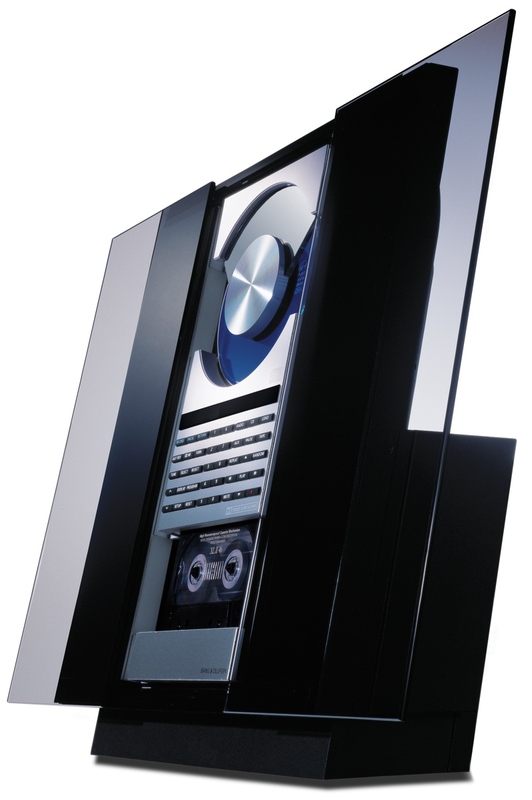 The BeoSound Ouverture was further updated over the years with new software and a variety of CD mechanisms, the later versions of which reverted to the motorised sled arrangement that had previously been seen in only one B&O CD player, the Beogram CD 50. The new CD mechanism could be recognised easily, for the slot in which the lens travelled was in a vertical, straight line below the turntable hub, previously it had been an arc at the side. Text copyright © Beocentral. Unauthorised reproduction prohibited. Despite having origins as a mid-range music centre, the Beosound Century became the mainstay of the audio system range, fitting between the Beosound Century and the BeoCenter 9300. It was replaced in 2004, amid claims that the manufacturer of the cassette transport had ceased production, and replaced by the BeoSound 3200. Text copyright © Beocentral. Unauthorised reproduction prohibited.